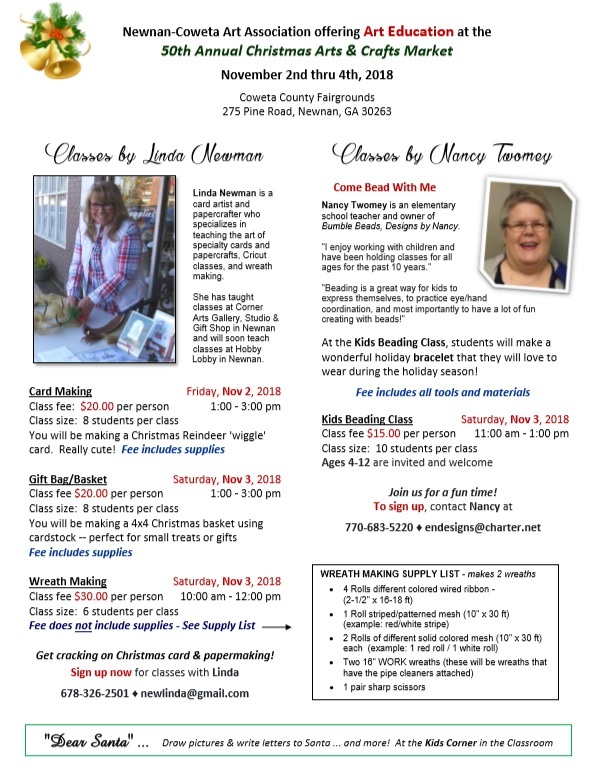 HomeChristmas Arts & Craft Market – Workshop Classes! In addition to 60 arts and crafts sales booths, we are super excited to offer a variety of classes, activities for kids, and items for raffle! See attached flier for details and how to sign up for classes. 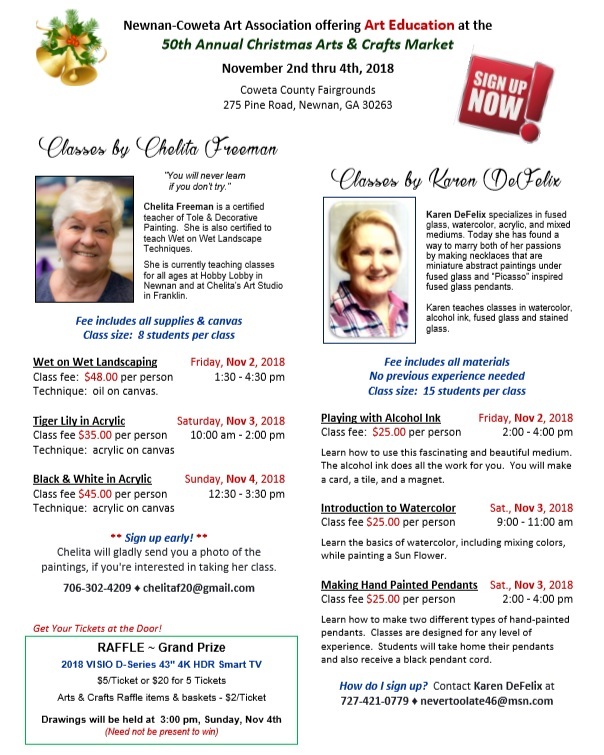 If you are interested in taking one of the classes, please sign up with the instructors directly.